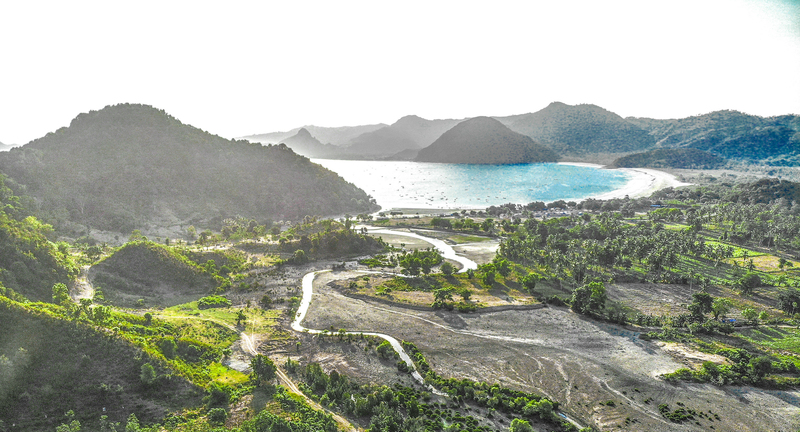 Naga Indo are a full-scale investment boutique making serious moves in the development of Lombok's south coast. Jean Marc Reynier in one of Naga Indo's Vetiver grass nurseries in Lombok. Views to beautiful Selong Belanak Bay on Lombok's pristine south coast. Naga Indo's Selong Riverside project overlooking Selong Belanak Bay. Jean Marc Reynier is a man with a passion for yoga, food and business and is fluent in 6-languages including Chinese Mandarin. WILLIAMS MEDIA caught up with him at Kuta’s Horizon, the in-house restaurant and lounge at Ashtari, a landmark iconic cliff view property on Lombok's beautiful south coast. How did you get started in the development business? I've spent most of my career working for investment banks and I've been living in Asia for 12-years. As you can imagine that has meant a lot of travelling and exposure to most of the region's investment opportunities. I see Indonesia in general, but specifically South Lombok, as having significant opportunities for investment and development. I created Nago Indo In 2012, to leverage the appreciation of the area’s land values and moved permanently to South Lombok in 2013. What inspires you about Lombok? Most definitely the environment here is spectacular and each day living here in South Lombok is extremely rewarding, not only being part of the natural beauty, but also witnessing a transformation occurring all around is sometimes as breathtaking as the beauty. How have things changed since you first came here? Well I first visited Bali a lot before coming to Lombok. I was first here when Lombok still had its old domestic airport. In those days I'd travel to surf in the south and I was amazed by the seemingly untapped beauty. Less than a decade later there's a new international airport and we've gone from being one of perhaps 3 developers to one of maybe 20. It seems developments are springing up all over. We are a little different from many of the other offerings though as we accompany our buyers on their journey giving them access to our network of acquired contractors and legal consultants along the way. What are the most important things you have learned coming to this developing area? Be diligent; legally, culturally and locally. Originally there were days when we thought everywhere was an open area to do business. Today, it's a more next-door approach because it's important to know what’s going on around you in such a fast moving environment. What was the most unexpected thing that happened to you in in Lombok? This is great, because this answer actually illustrates the things I've just outlined about important things I've learned. Here's the story … we had a staff member that was always late, and I was worried that they didn't care; maybe they were ill disciplined and perhaps even disrespectful. We asked this staff member to look at the clock on the wall and in the course of our discussion, we said, “Can’t you see? What time is it now and what time should you be here?" It turned out this person couldn't actually tell the time in Roman numerals on the clock! But we learned from that and these days we have quartz LED clocks, which they can read! It's absolutely crucial to have the understanding of local experience, in order to get the best from the people working for you. Have you seen a trend towards eco-developments in the area? Yes absolutely! There are more eco friendly developments, and yes we strive for this; we actually grow our own Vetiver grass in our own nurseries. The eco trend is global and people are learning from past experiences. We know development is inevitable but we must be aware and take care of the environment around us. Several are extreme in the way they aim for sustainability, by growing their own restaurant supplies and so on, which is amazing dedication. We find that visitors also like the previous experience of Bali, before over development, and this experience is one they wish to protect here. Most developments look for environmentally sustainable solutions to things like soil erosion, and the general visual environment, water capture, solar heaters etc. It is also clear with the amount of government investment in the infrastructure here that there's no intention to replicate any of the unfortunate over subscription issues with Bali's traffic infrastructure. NagaIndo's Selong Riverside project overlooking Selong Belanak Bay. Speaking of the government, what is the stance of the government to foreign investors? We've seen more interest from local government in what people do here, with a view to ensure that it's good for Indonesia, in advancing the country. This is really a forward thinking mindset. The government is keen to learn from developers bringing skills and ideas to this country. The Special Economic Zone (SEZ) in Mandalika looks like it will offer other opportunities, and the wider south coast market has seen encouraging support from the local agencies in numerous projects. Easier legal frameworks. We understand the implementation of OSS (Online Single Submissions) is a step in the right direction, but we would love to see easier progress through the system. Any desire to get involved in the ITDC Mandalika project? 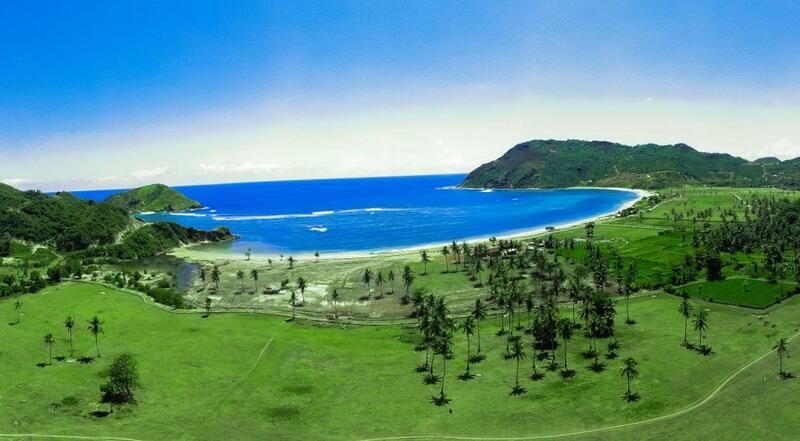 We are definitely interested in working in this exciting project in the South of Lombok. There's a lot of buzz surrounding the new flights, new hotel projects and the planned Moto GP track. It makes absolute sense to take advantage of the state of the art infrastructure and commercial premises are something that interests us greatly in the future. What are the main developments you are currently working on? Well, we're focusing on our Kuta Skyline project, which has a cliff top view overlooking the coming ITDC Mandalika Special Economic Zone. There is also our sold out Serangan Beach project and our Selong Riverside project over Selong Belanak Bay. We also have several prime spots in Air Guling Bay and Gerupuk Bay. Find out more about Jean Marc and Naga Indo by geeting in touch via the contact details below.